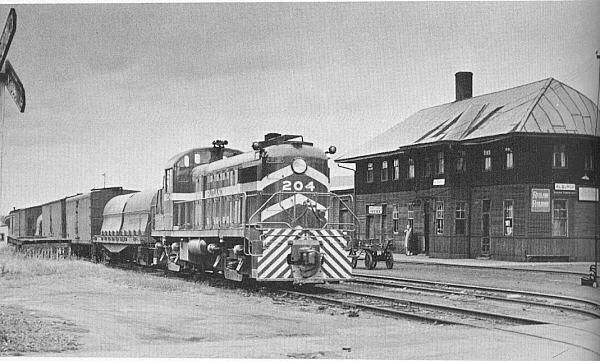 Brand New Diesel #401 pulls the milk train into the yard past Alburgh Station in the fall 1951. 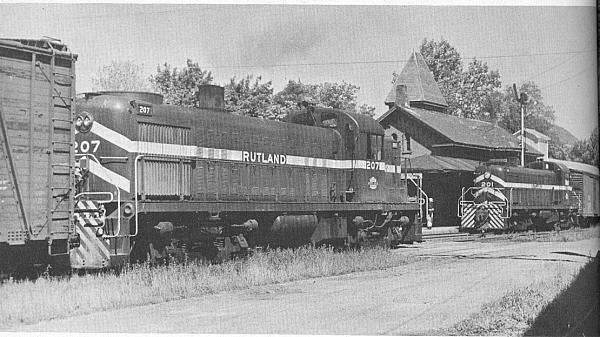 North and south locals between rutland and Alburgh pass at Brandon. Photo by Jim Shaughnessy. 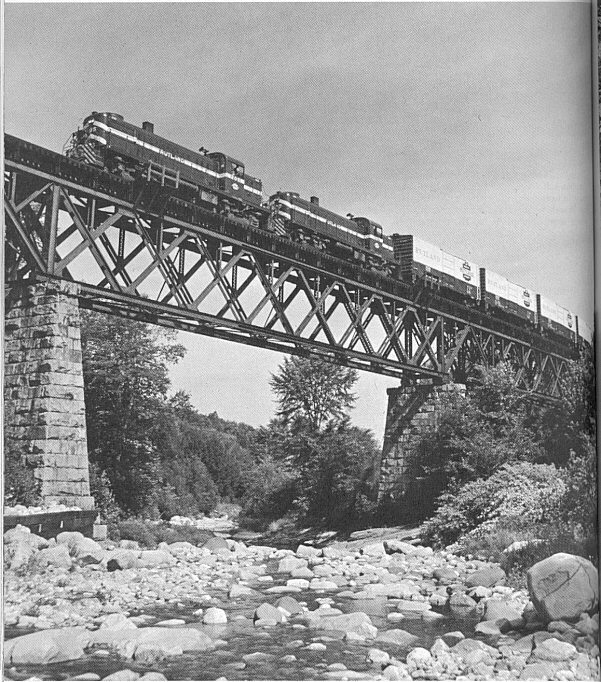 Here northbound #201 holds maine line while #207 eases past on the weedy side. Photo by Jim Shaughnessy. The effcient new Diesels and sparkling new boxcars arrayed on the Cuttingville Tresle.